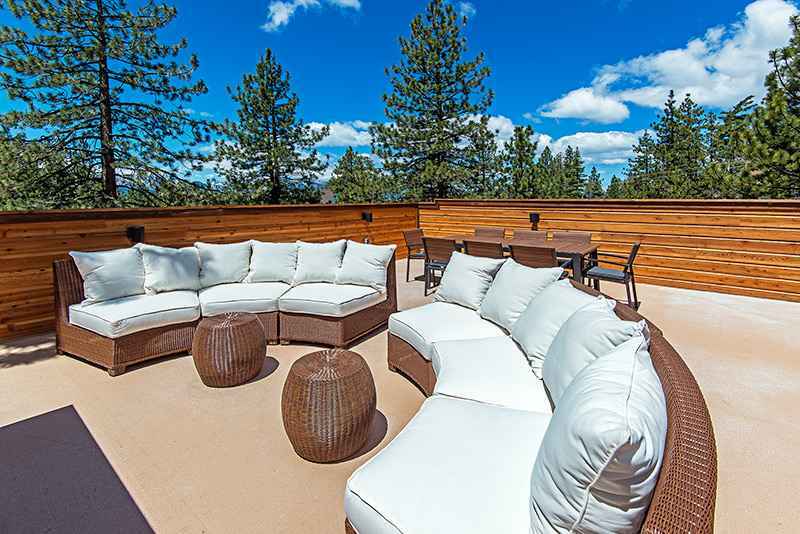 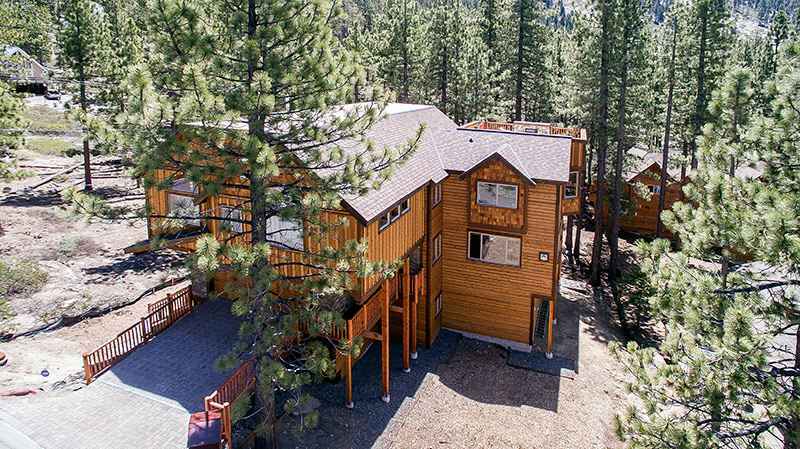 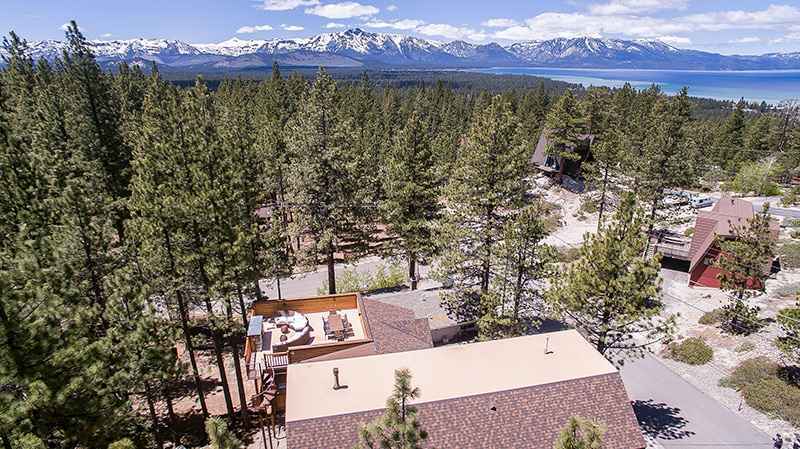 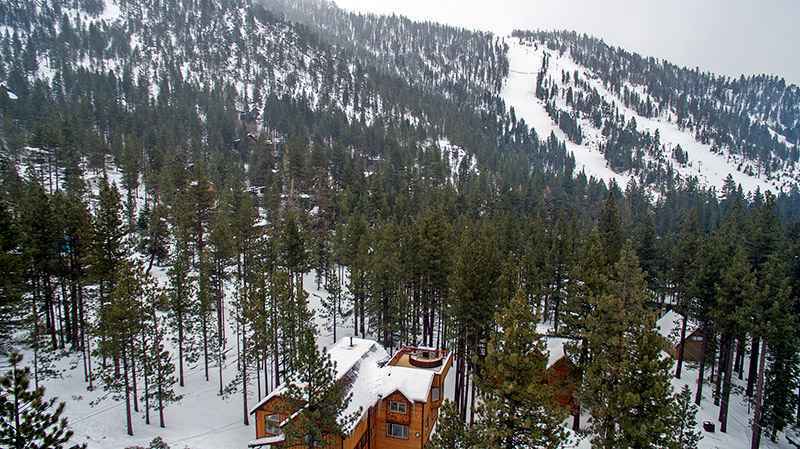 7 bedroom/6.5 bath Heavenly Estate a short couple blocks from Heavenly California Ski Lodge. 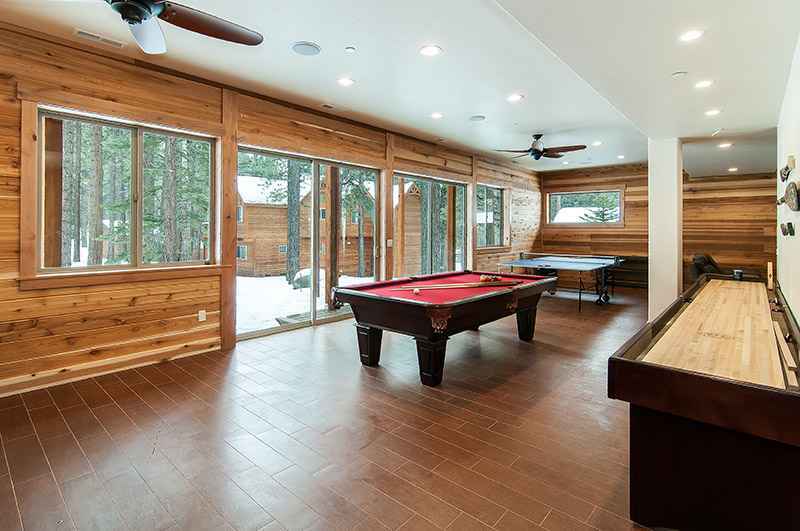 This large 5600 sq. 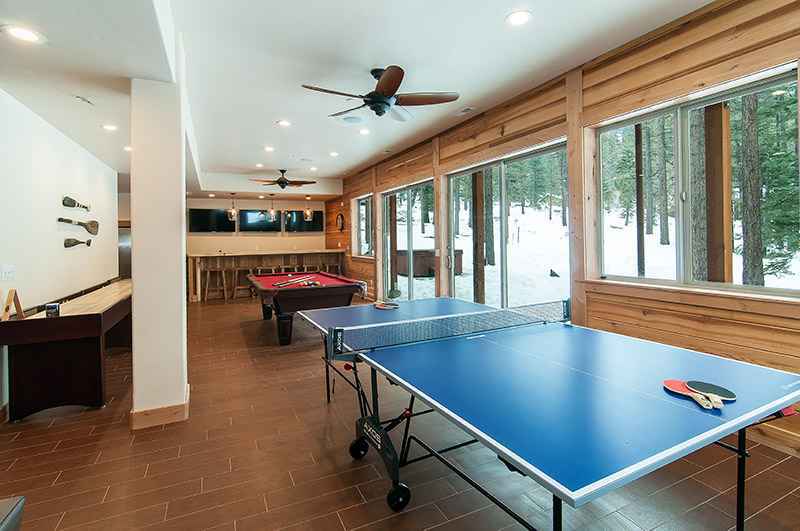 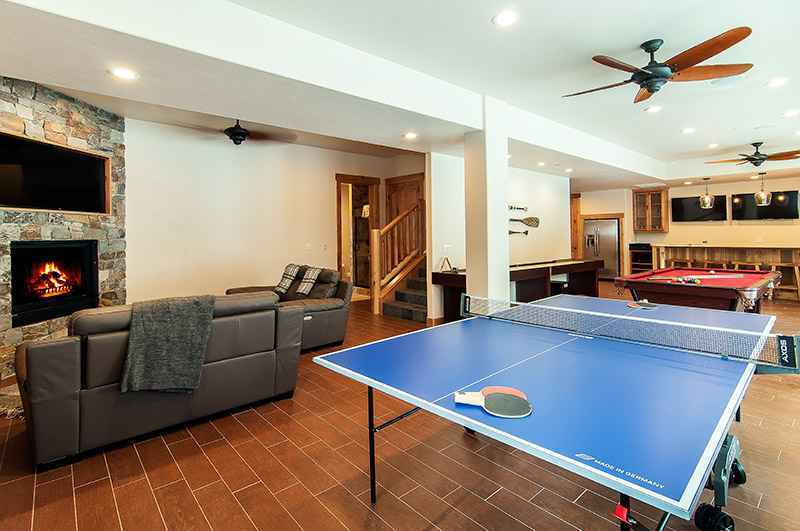 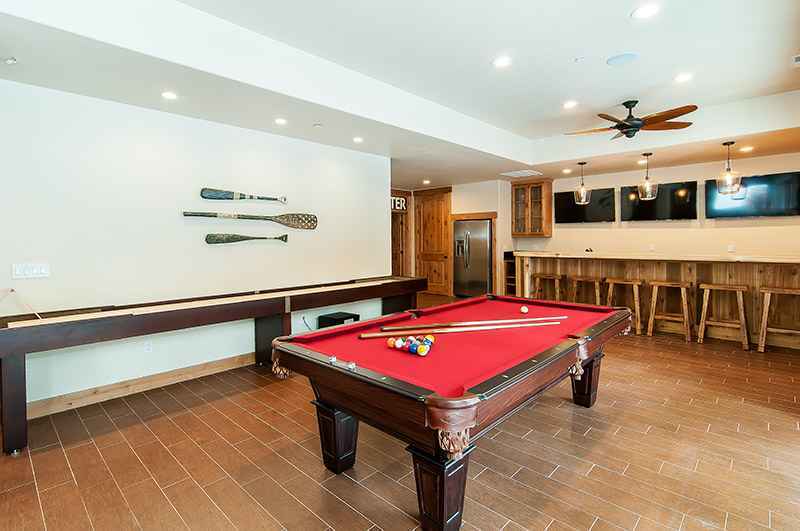 ft Estate features a huge game room with Ping pong, Pool Table, Shuffleboard. 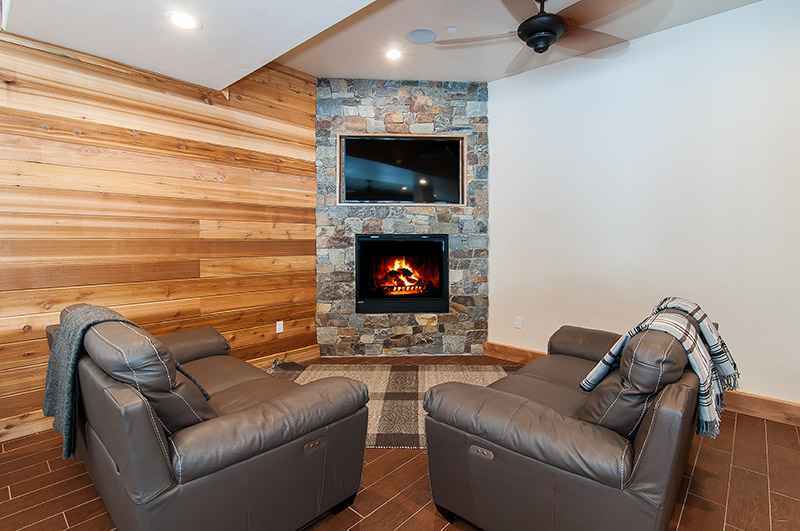 Large Flat Screen TV above Fireplace with comfortable sofas. 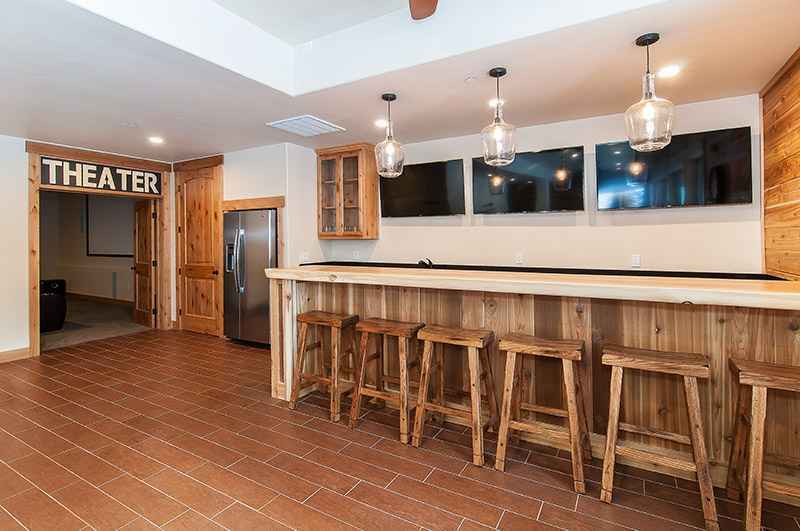 Bar with bar chairs, 3 large Flat Screen TVs. 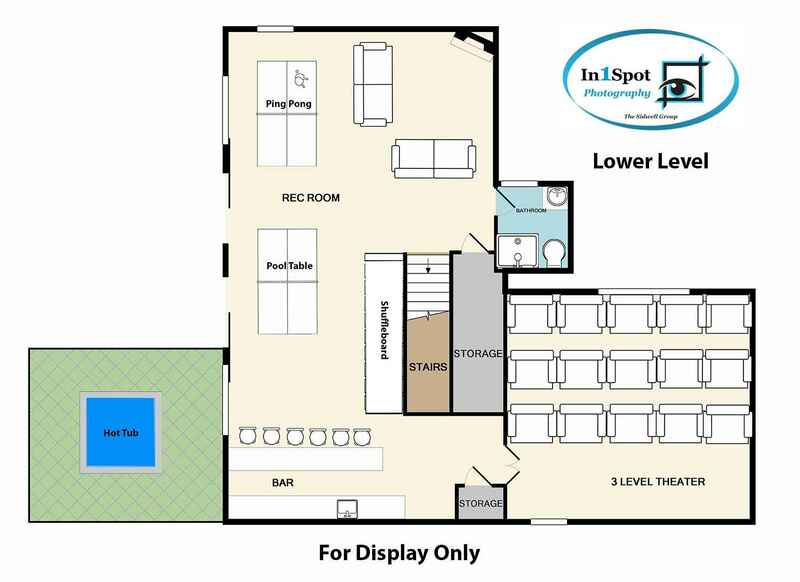 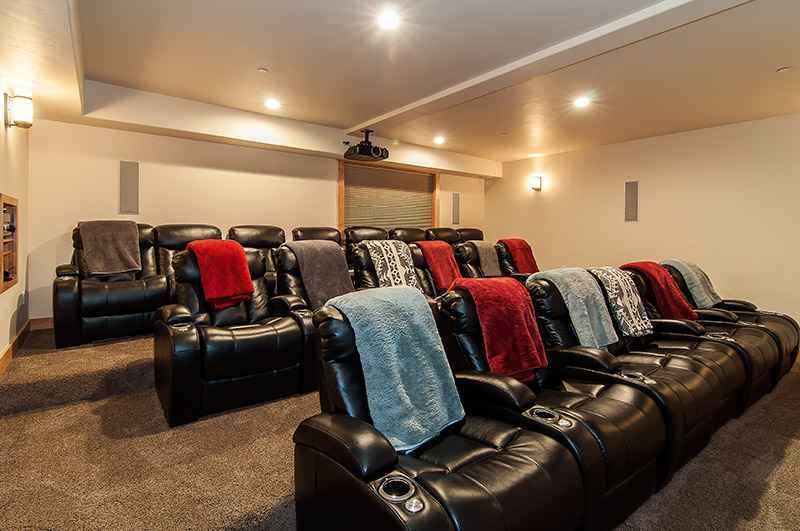 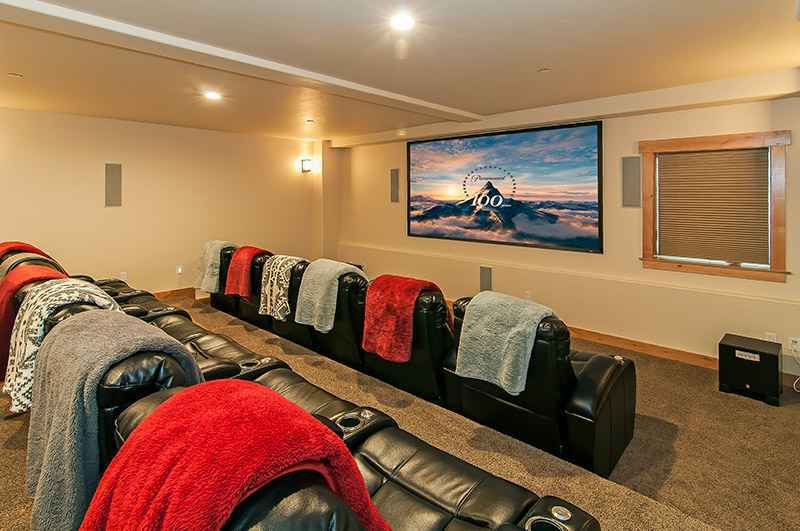 Game room connects to Movie Theater with 120 inch HD Screen and 20 personal Theater seats. 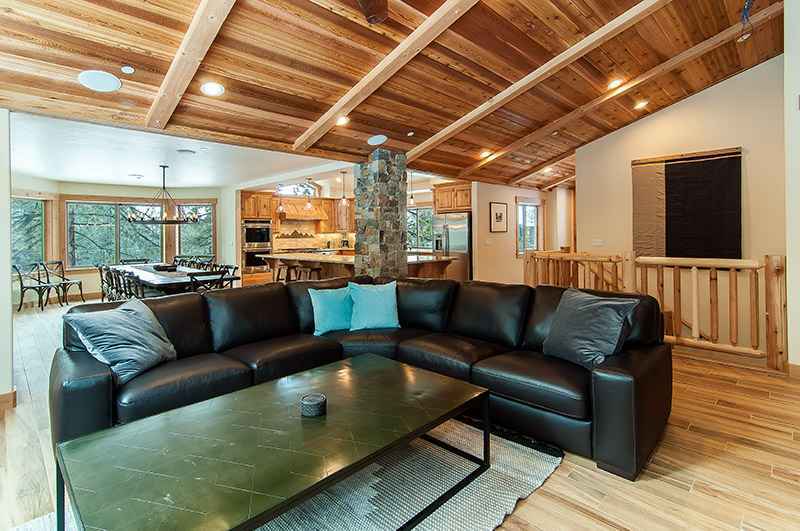 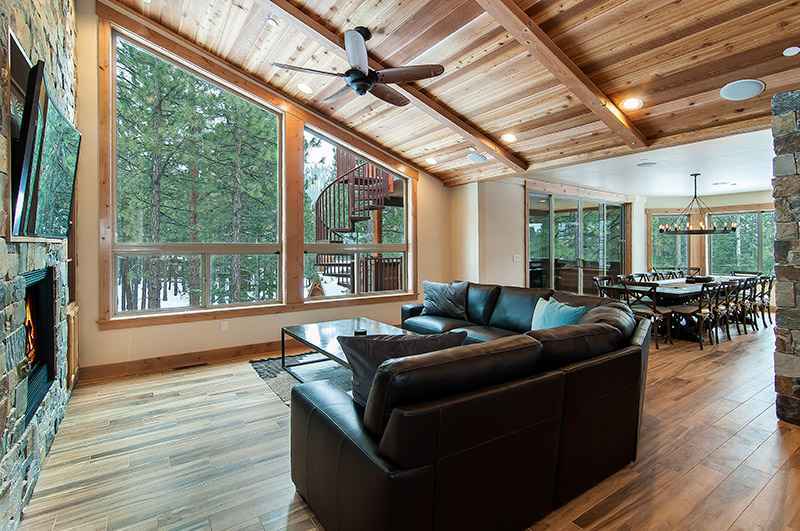 Main living room has huge vaulted ceilings with forest and Heavenly Slope views. 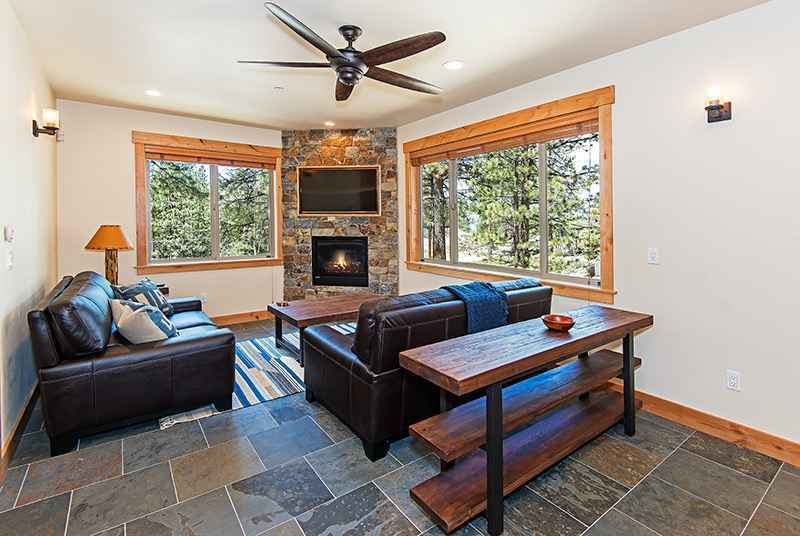 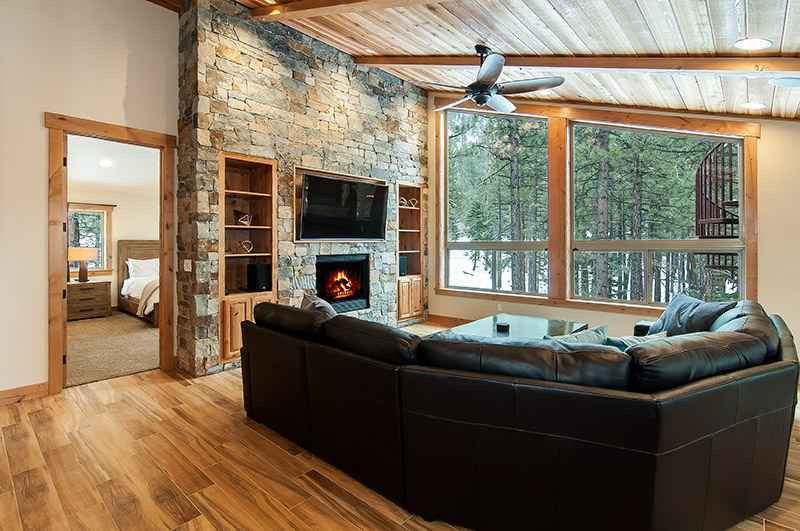 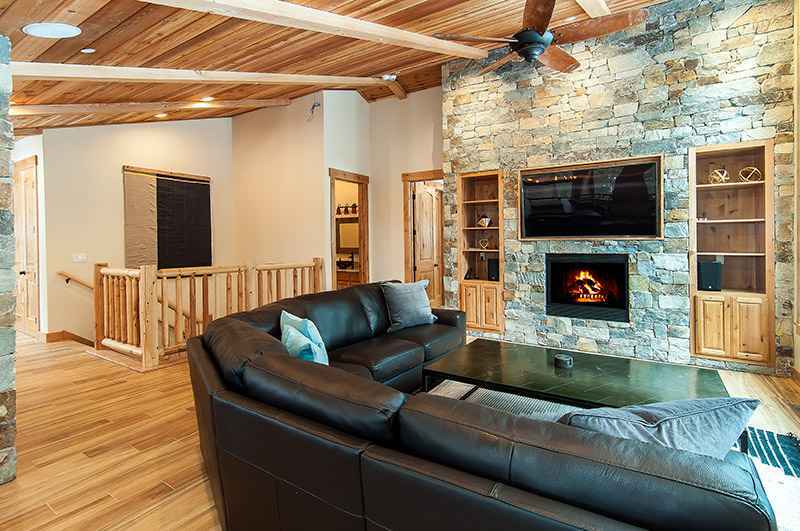 Sectional sofa in front of oversized rock wall fireplace, large TV set above Fireplace. 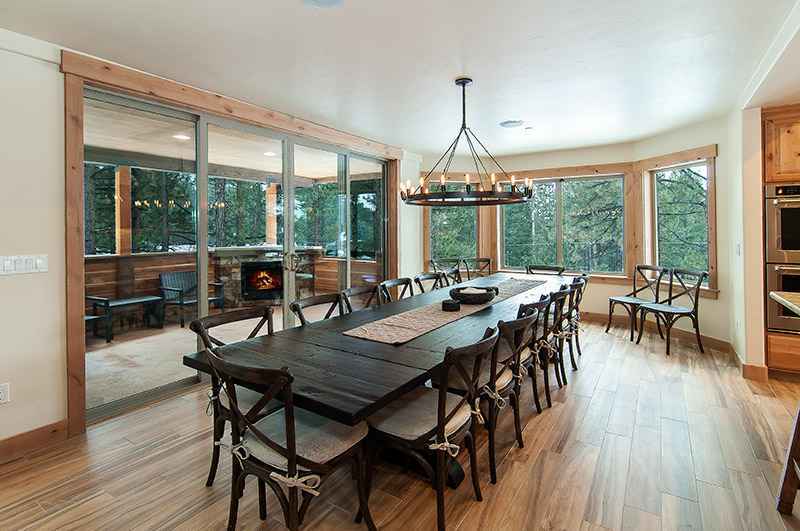 Huge dining table from Restoration Hardware with comfortable chairs. 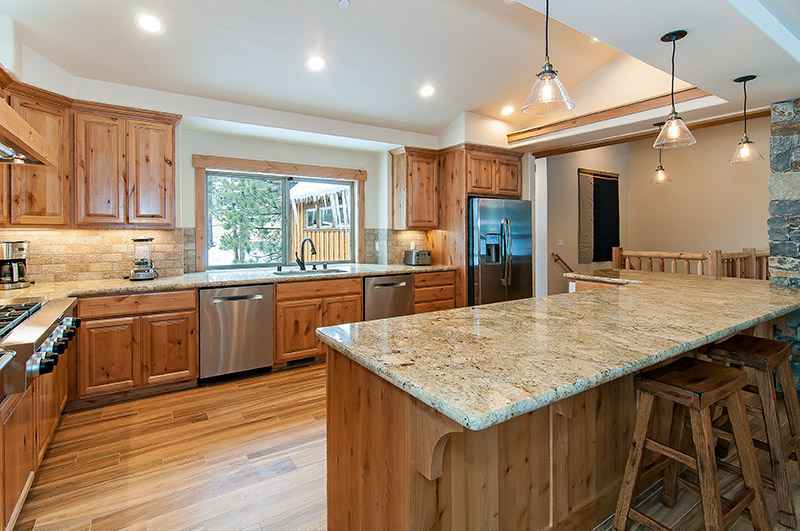 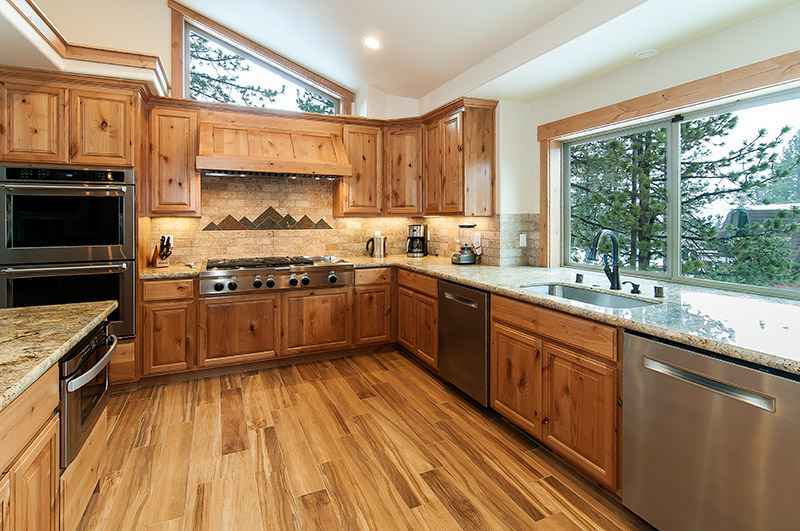 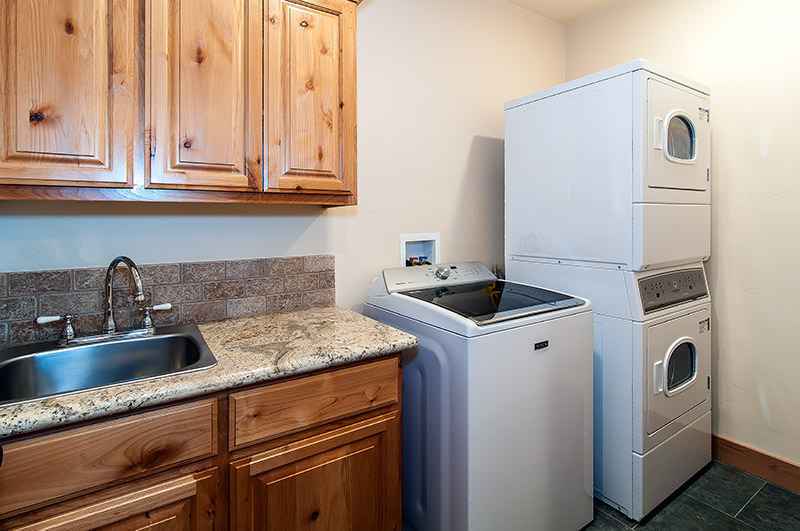 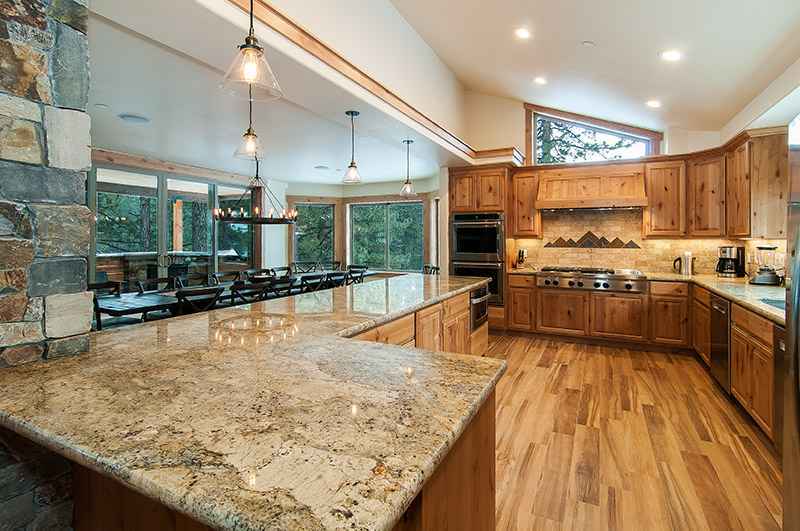 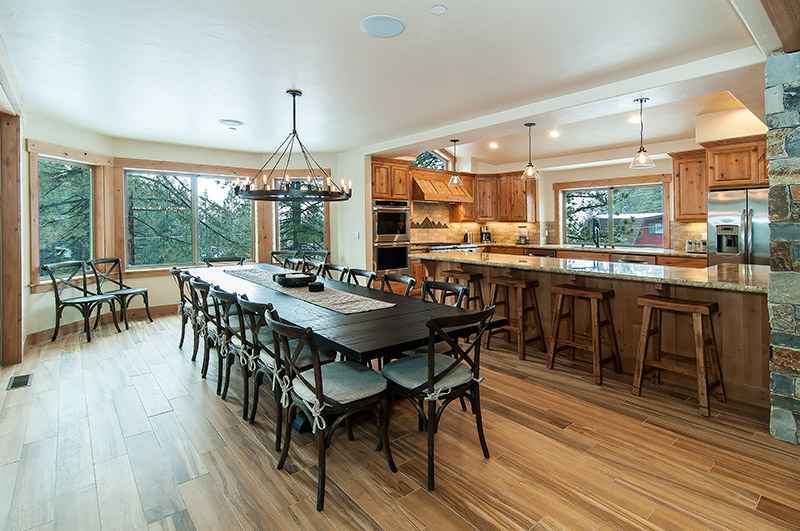 Bar stools surround large kitchen island with all top of the line appliances, granite, alder cabinetry. 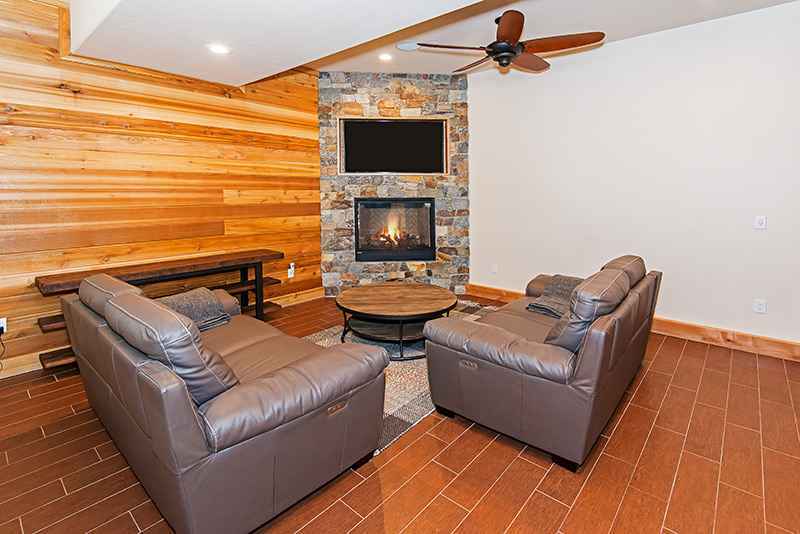 This main living room connects to a covered outdoor area with built in BBQ, seating area around outdoor Fireplace. 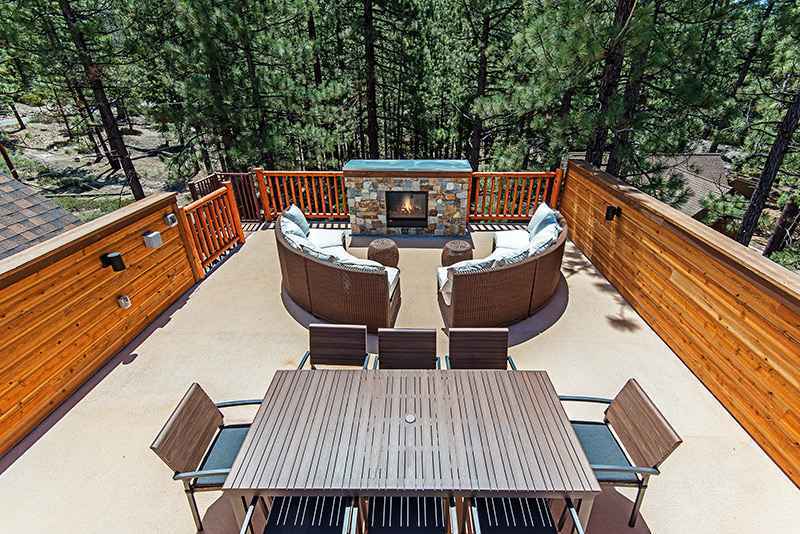 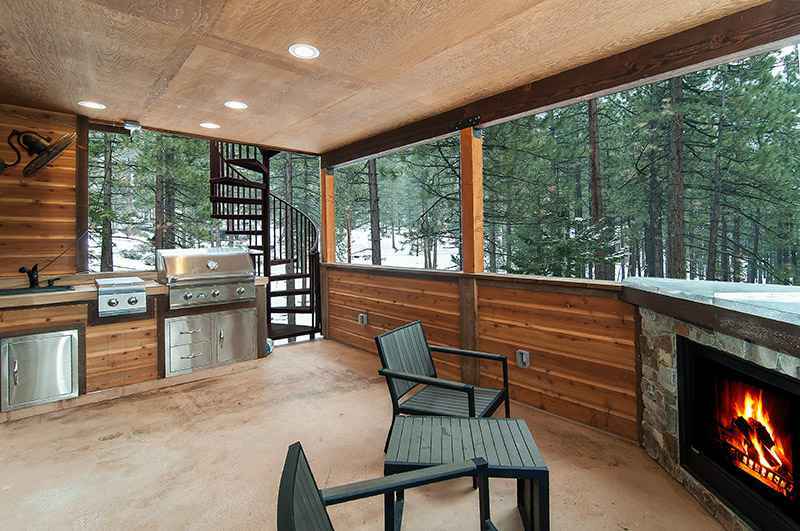 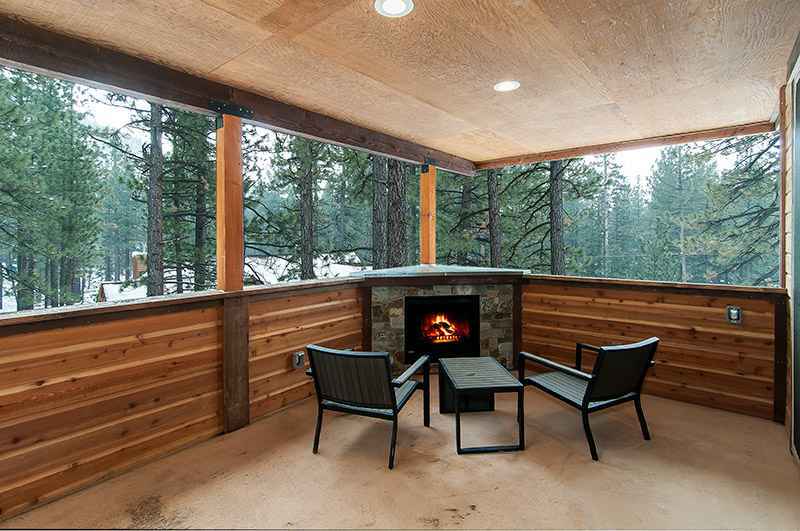 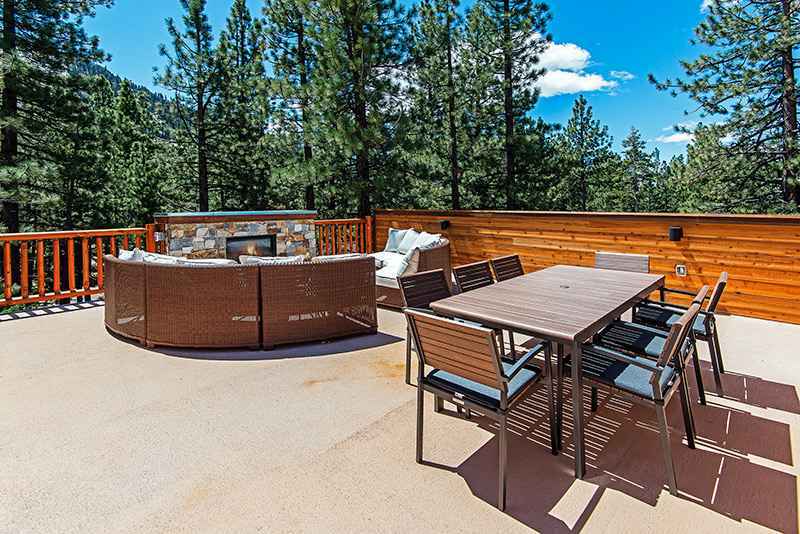 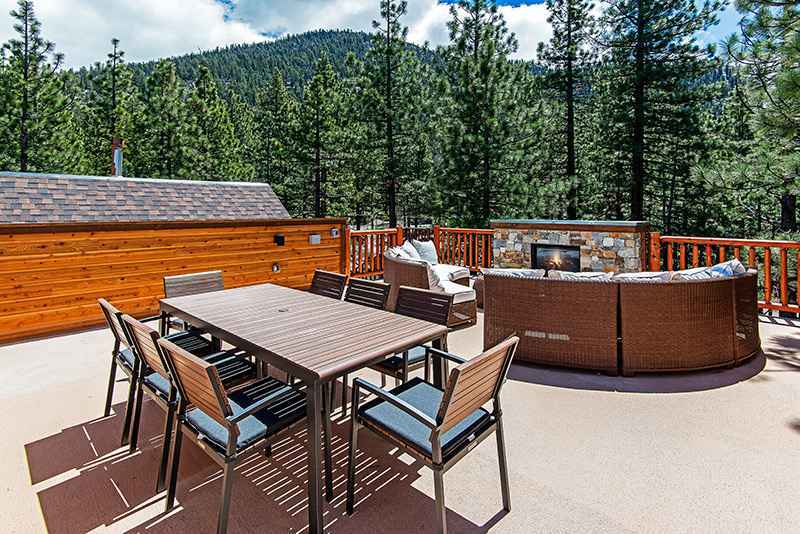 This outdoor deck has an additional staircase that takes you to a huge outdoor rooftop deck with modern wicker outdoor furniture all set in front of a fireplace with 360 degree views, half of the view looks at the lake and the other half looks directly at the face of the slopes its so close you can see the Gondolas going up the mountain. 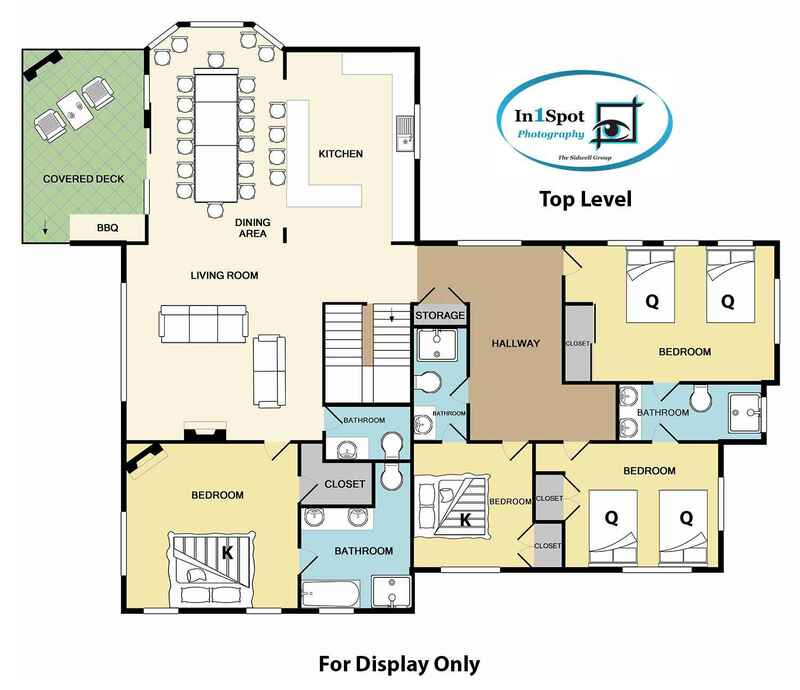 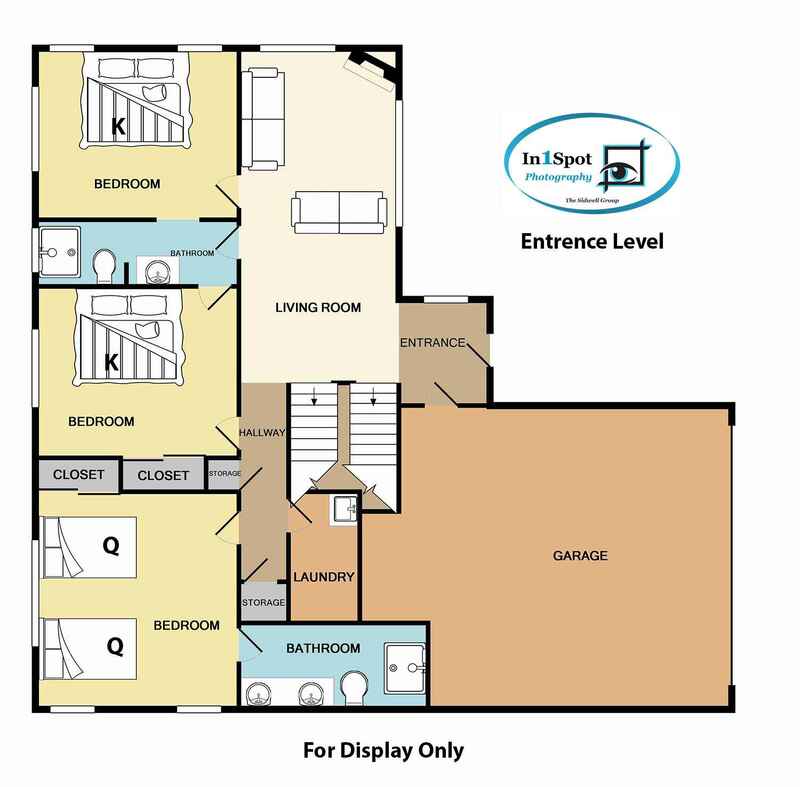 Bedrooms are spread out on the main entry level and top floor. 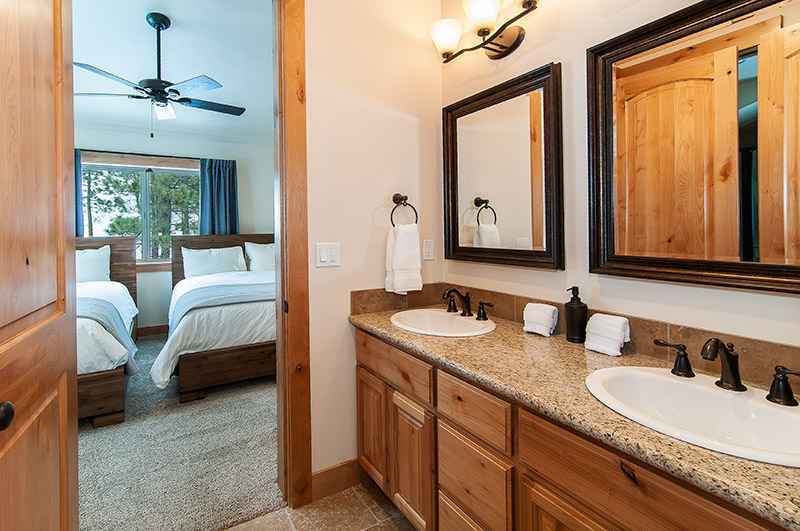 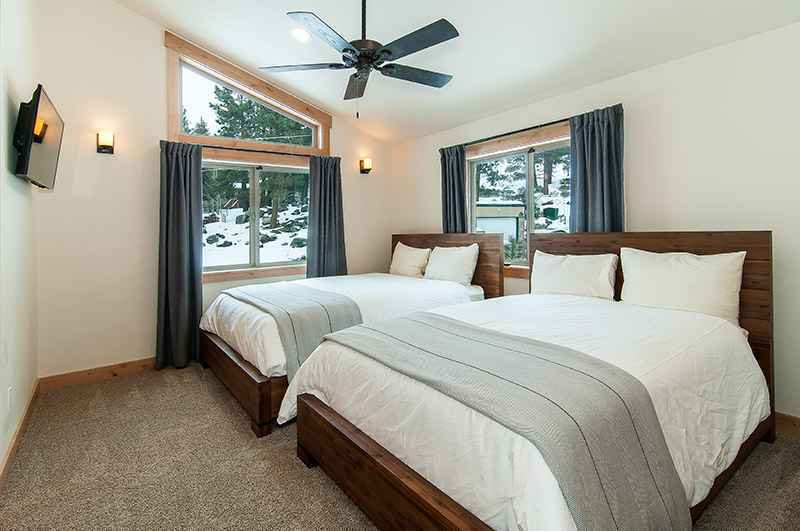 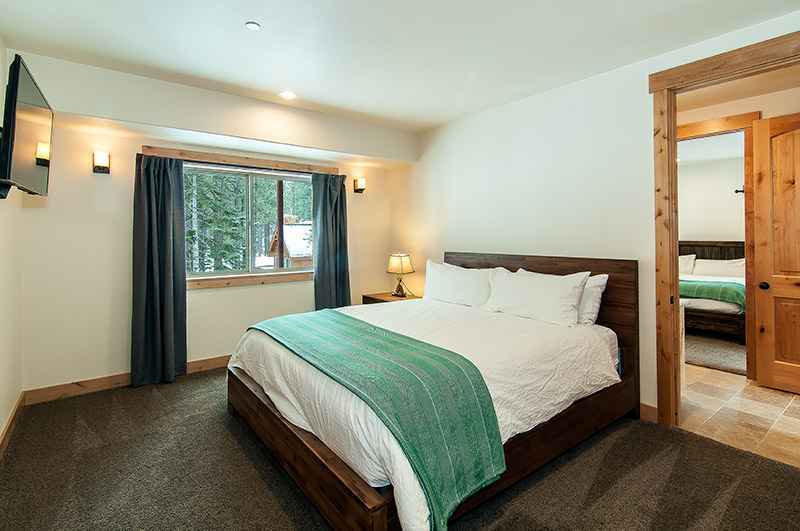 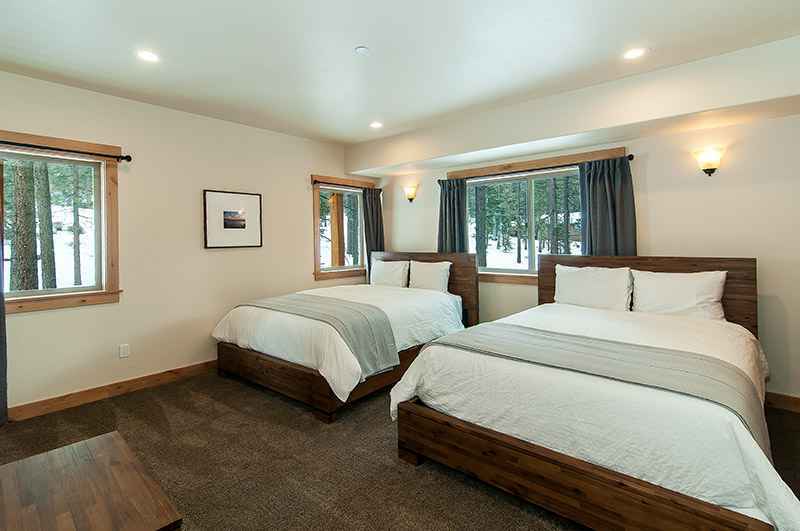 All bedrooms comfortably furnished with top of the line bedding. 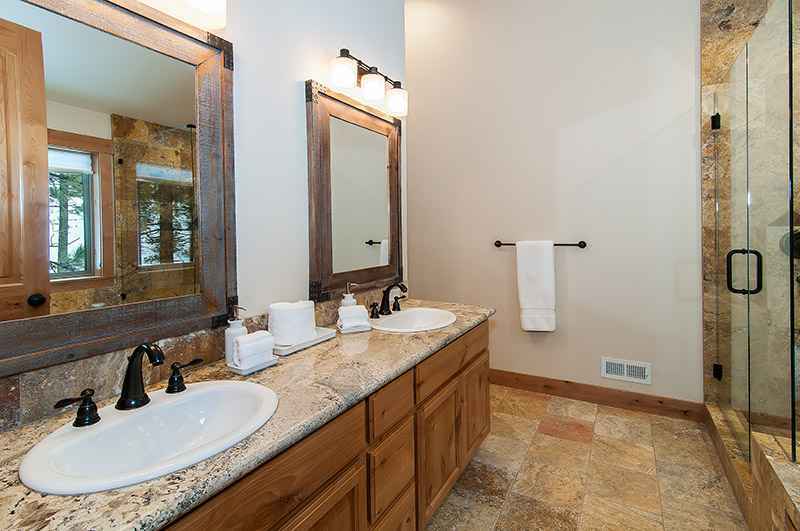 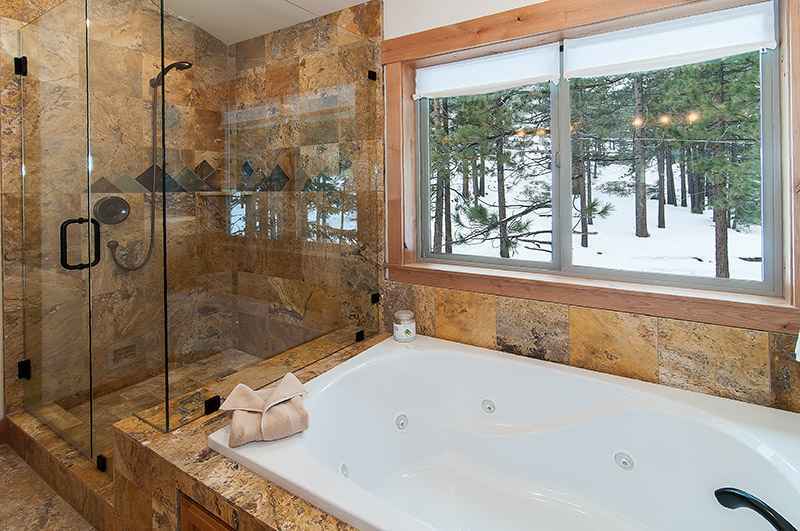 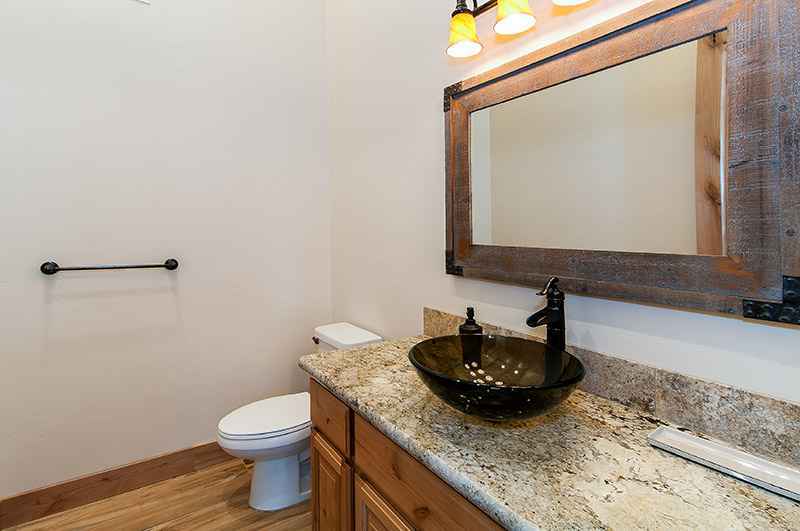 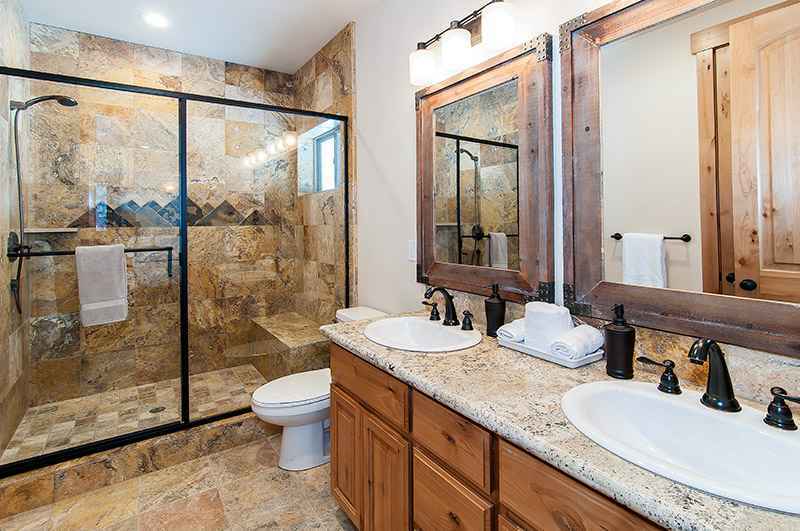 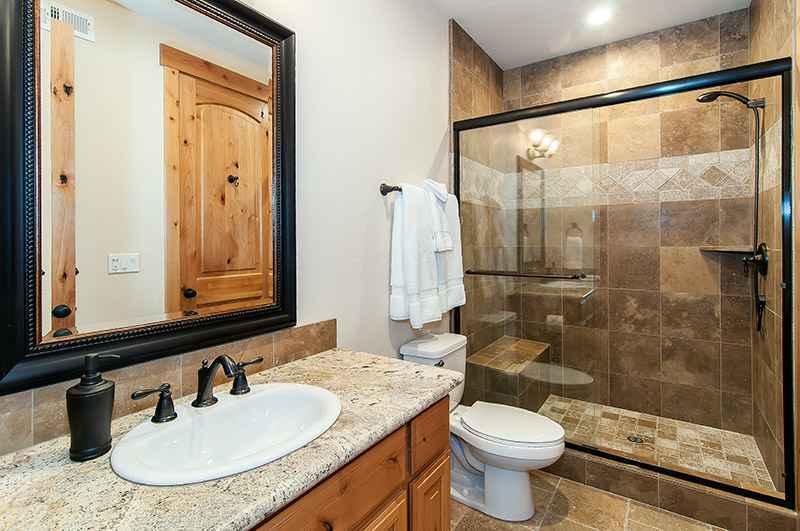 All bathrooms have high end finishes, granite, marble and tile. 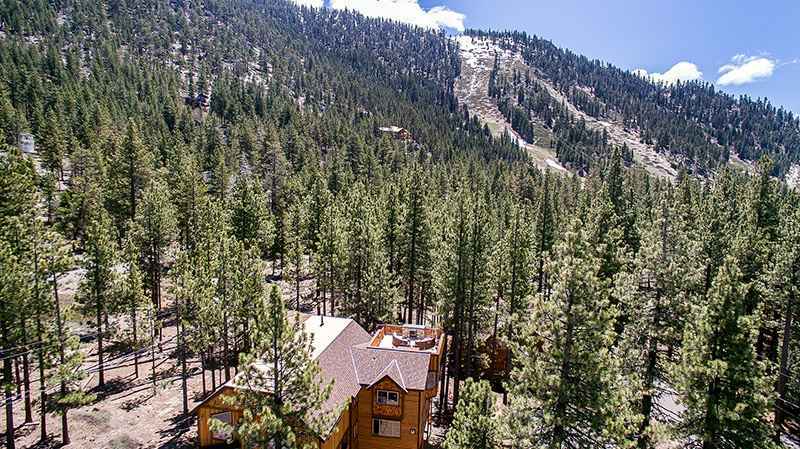 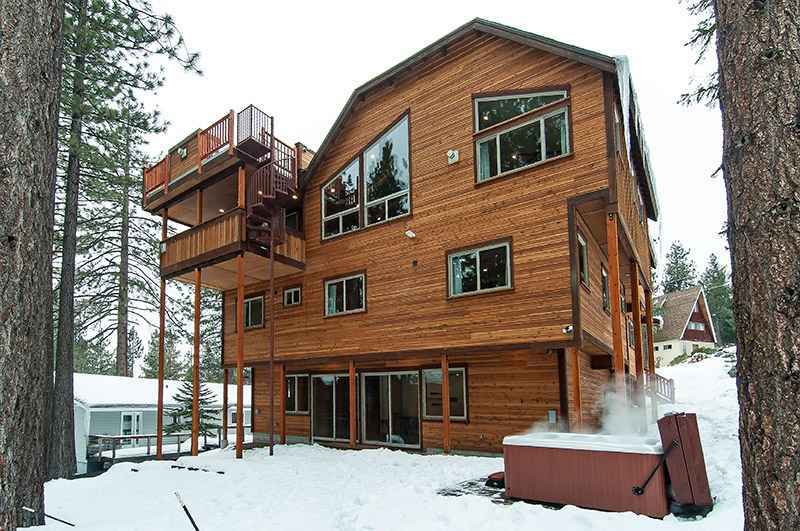 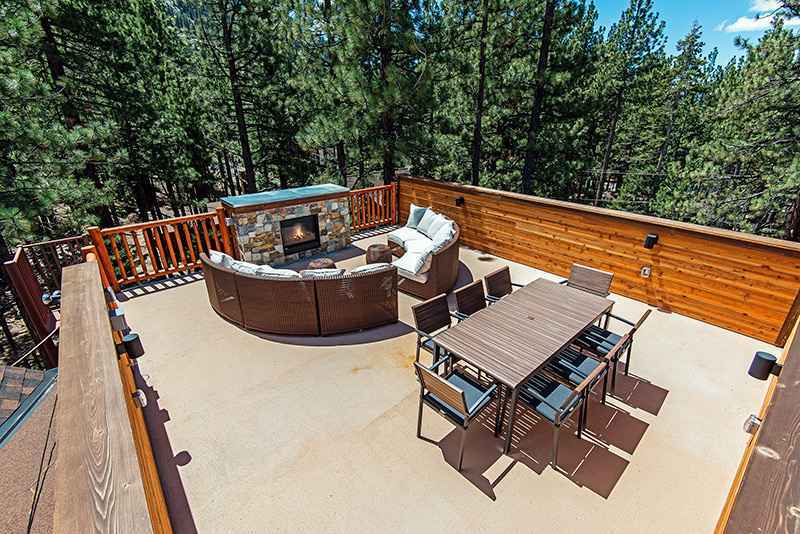 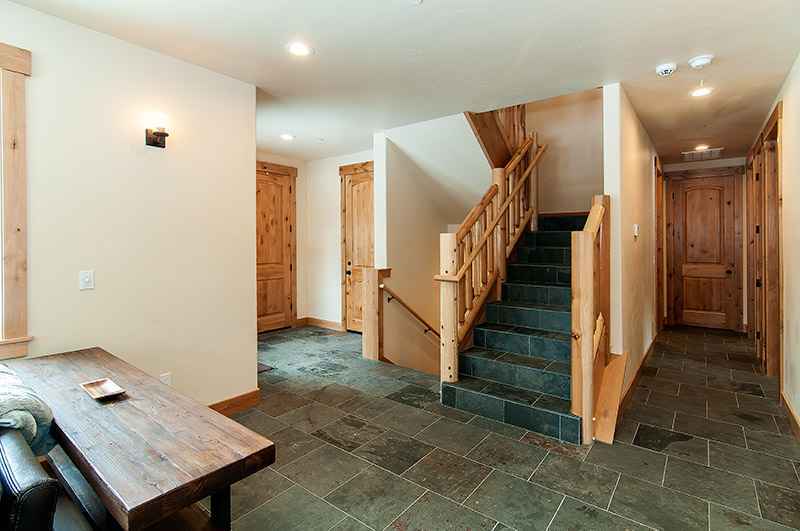 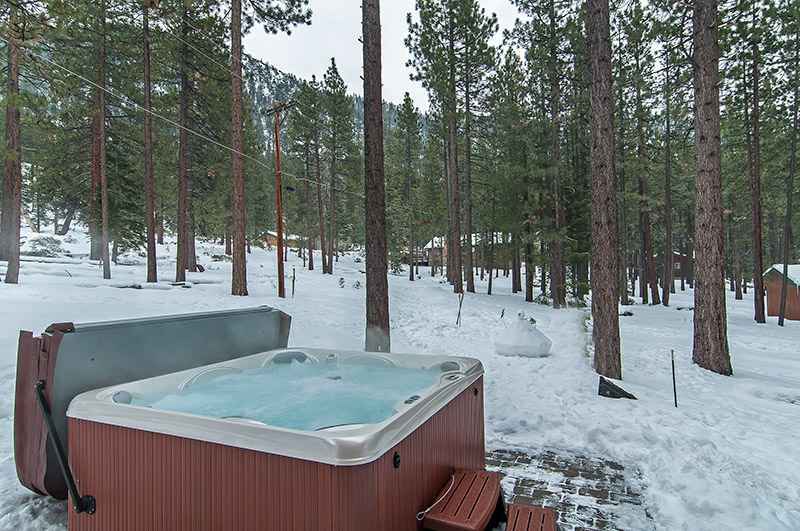 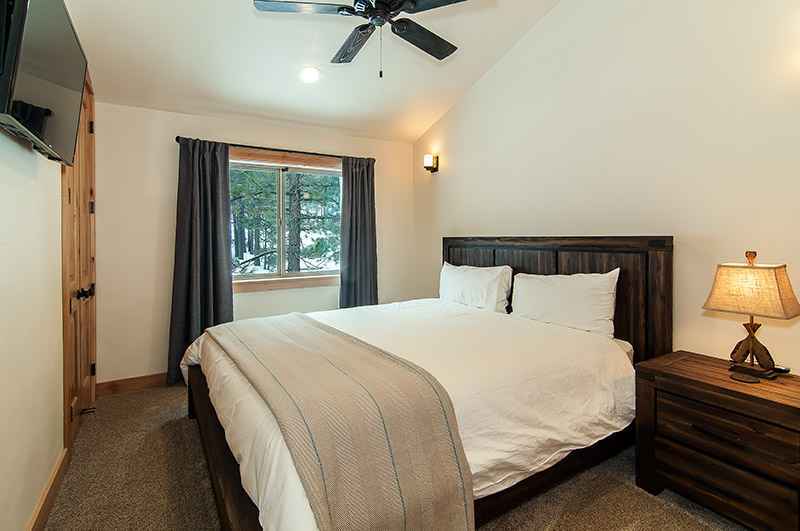 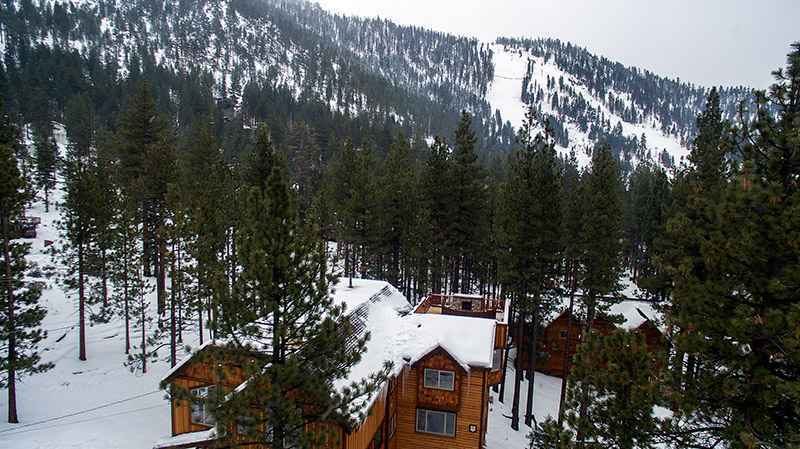 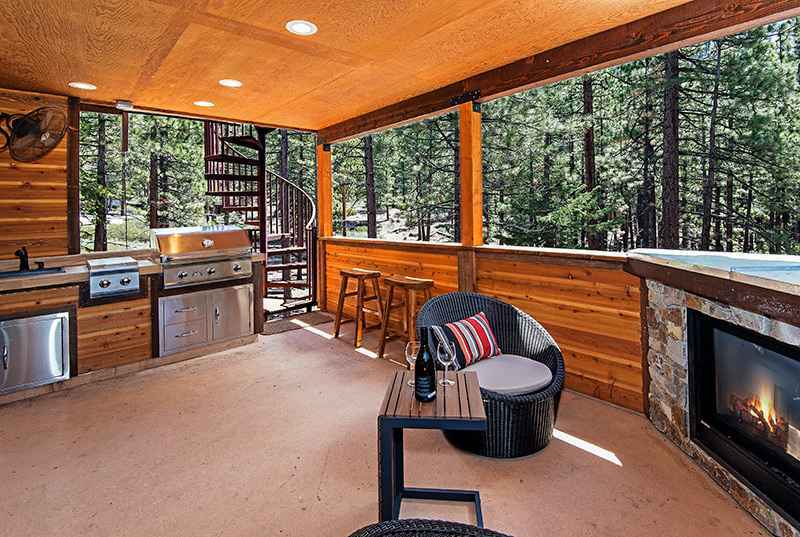 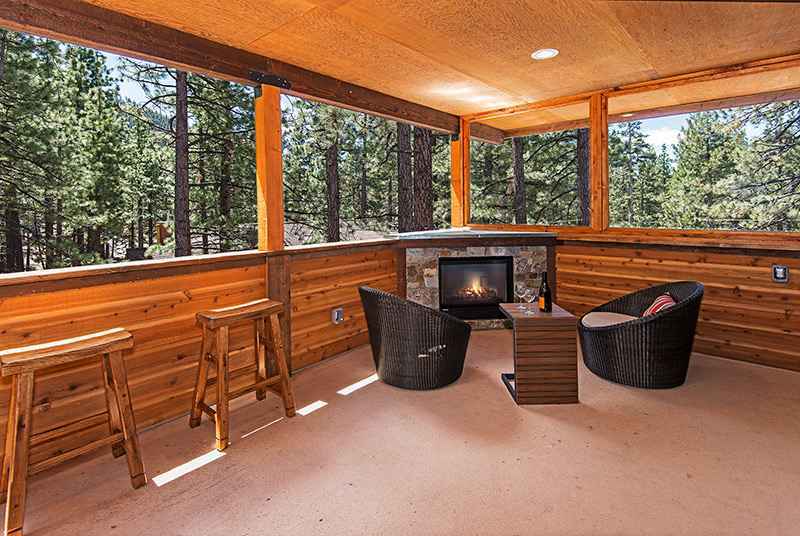 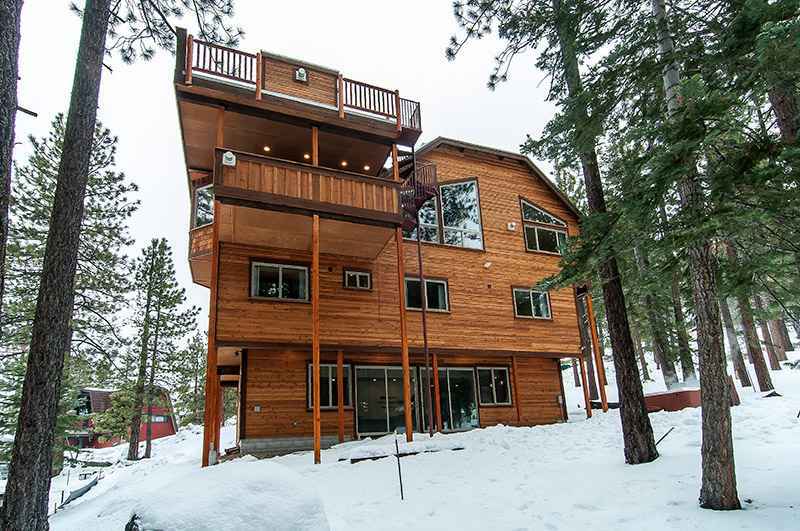 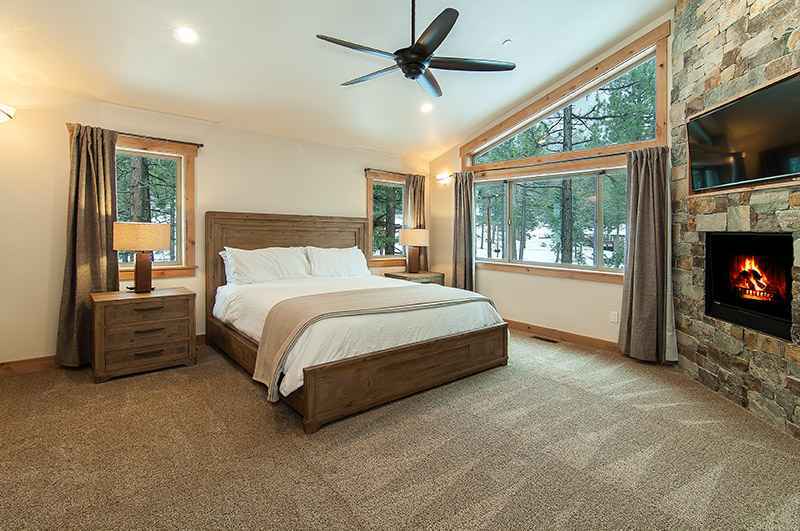 House is perfectly located within a short walk of the Heavenly California Ski Lodge and less than 1 miles to the downtown casinos. 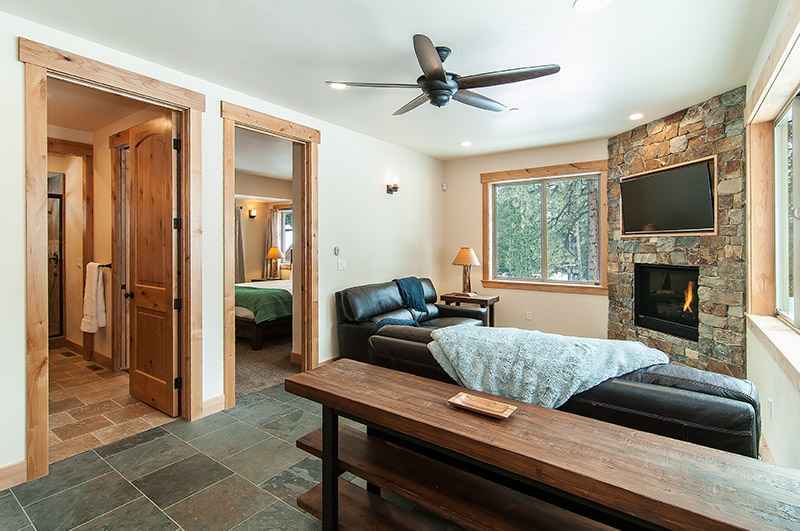 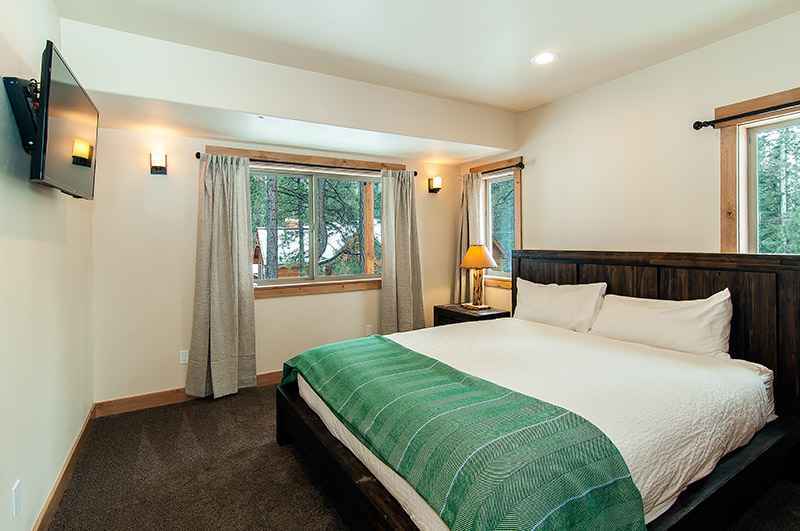 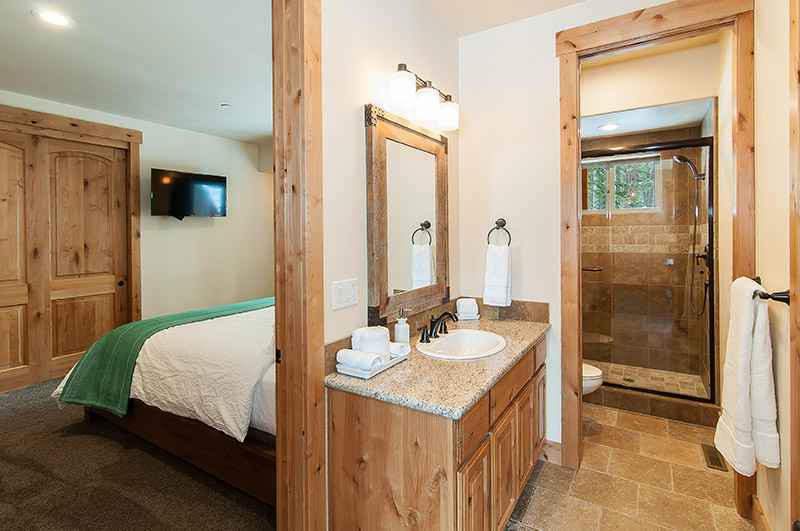 FALL Sept 6-Dec 21 ($1,200 per night Weekday, $1,500 per night weekend). 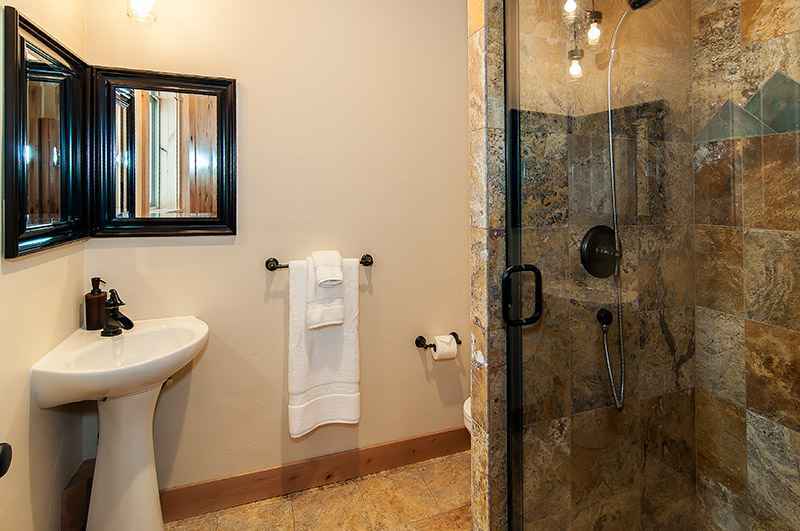 Weekday specials year round if doing all weekdays Sun up to Fri. 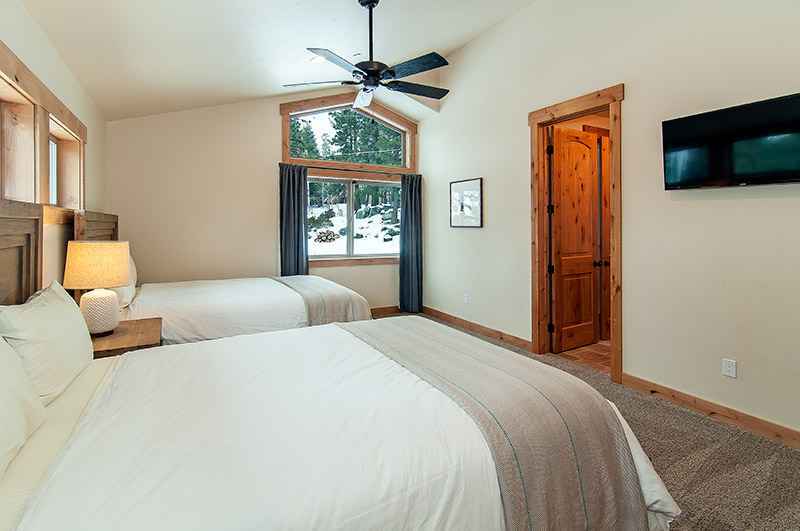 Discounts avaialble if doing more than the min night stay and if you are flexible with dates. 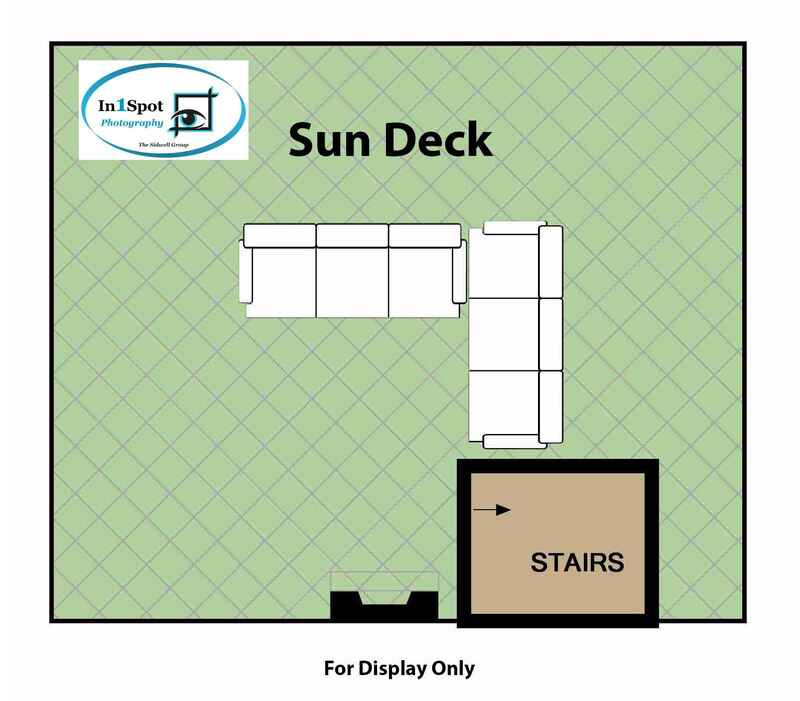 Remaining 50% due 2 months prior.